So our latest issue # 109, Vol 29 No 2 has just been reviewed by Eamonn Murphy, and we’re happy to share his comments with you. And if you haven’t spent any time on the SF Crowsnest site, you are missing something very entertaining. A lovely story worthy of Peter S. Beagle and proof that fantasy doesn’t have to be all royal families, warring kingdoms and barbarians with big swords. For some reason, this reminded me of Stephen King’s gangster stories which is no bad thing. One day they may bring in laws against Un-Canadian activities, and surely not buying ‘On Spec’ will count as such a crime. It’s definitely worth a look, especially for locals. 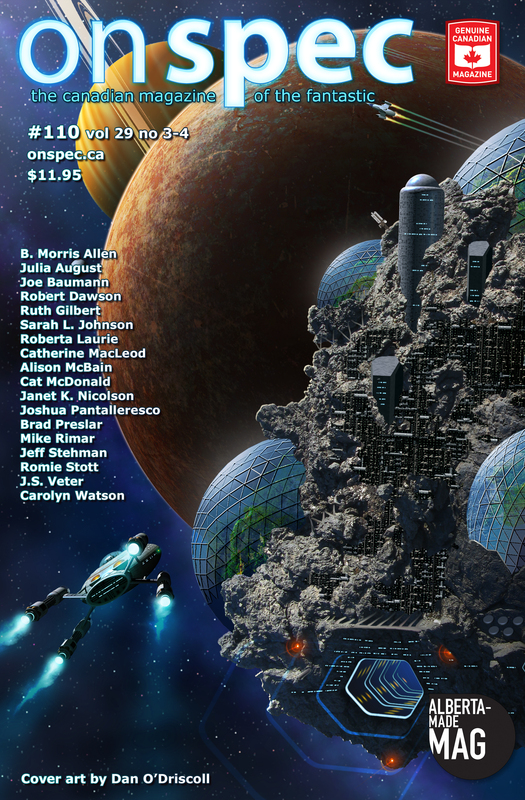 And if you are living outside Canada, remember you can check out a single issue, or subscribe to the digital version of On Spec through Weightless Books.